Omega fatty acids are essential fatty acids that are "essential" because the body is not capable of manufacturing them and thus we need to consume these types through the foods we eat. EFA's are also "essential" because they are needed by the body for our survival. 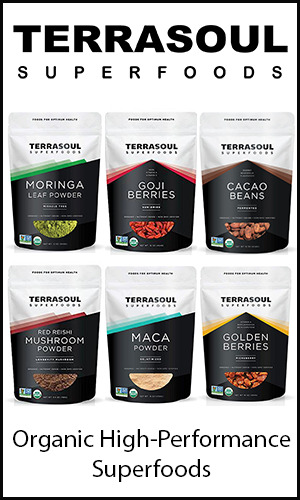 They are vital components to such things as neurological functioning, cell membrane stability, oxygen transfer, inflammatory regulation, immune response and cardiovascular maintenance. 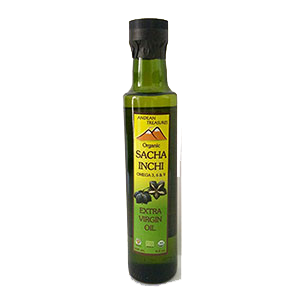 Omega fatty acids are the good fats that everyone needs to consume on a regular basis. They are linolenic and linoleic acids, called polyunsaturated fatty acids (PUFAs), that include at least one double bond in their molecular structure. There are two types of essential fats, Omega-3 fatty acids and Omega-6 fatty acids. An Omega-3 fatty acid, from a chemistry stand point, is a chain of carbon atoms in which there is a double bond after the 3rd carbon atom. Omega-3's are also called alpha-linolenic acids or ALA's. These are a group of 18 carbon chains with 3 double bonds. Certain enzyme systems come along to convert this omega fatty acid into other acids needed by the body. 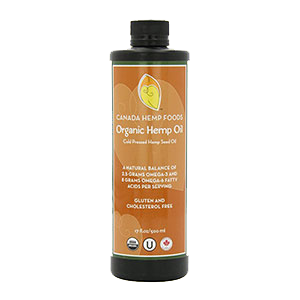 Omega-6 fatty acids are a different molecular composition with the double bond existing after the 6th carbon. 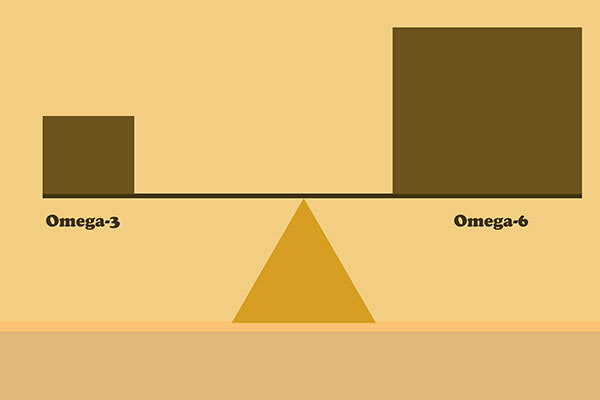 Omega-6 acids need to be consumed in proper proportion to Omega-3's. The general standard for this is between a 4:1 or 1:1 ratio. This means that for the amount of Omega-6 foods you consume you would need to eat at least 1/4 of that amount in Omega-3's. In a typical Western diet, high in refined vegetable oils, Omega-6 is much higher than Omega-3 at between an average 10:1 to 20:1 ratio. Too much Omega-6 can cause inflammation in the body and other related health conditions we will discuss more below. Omega-3 fatty acids act as an anti-inflammatory and help to counteract the pro-inflammatory effects of LA Omega-6 fats and their derived oils. 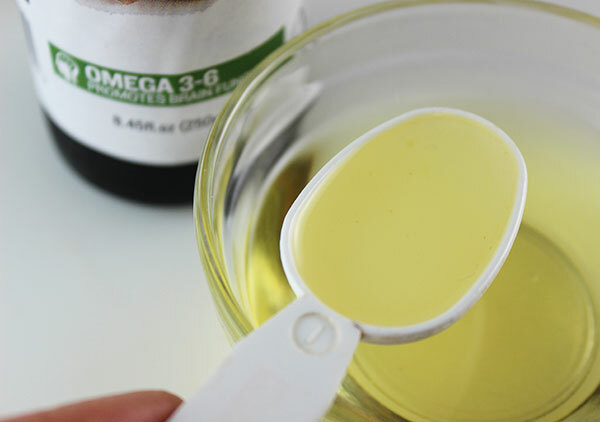 Omega-6's are especially concentrated in refined vegetable oils such as corn oil, cottonseed oil, sunflower oil, safflower oil, peanut oil and sesame oil. They are also found in abundance in grain-fed meat protein and dairy products. Meat and dairy sources are high in Omega-6 because the animal eats the LA-rich foods which gets concentrated in the flesh, fat and milk. It is very important that a health promoting diet include plenty of Omega-3 fatty acid foods. 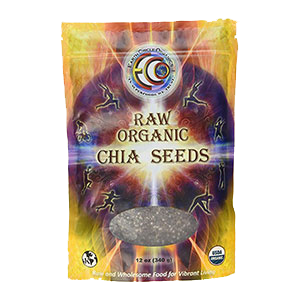 The top sources for this ALA omega fatty acid are green leafy vegetables, micro-algaes, chia seeds, flaxseeds, hemp seeds, sacha inchi seeds, with small amounts available in seaweeds, walnuts and sprouts. 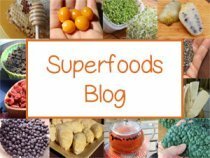 Some of these foods can also be concentrated into oils for supplementation purposes, like algae oil, sacha inchi oil, flax oil and hemp seed oil. 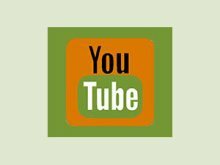 Is Fish a Good Source? The most common source of Omega-3 encouraged by the mainstream medical and health community is, without a doubt, cold water fish. Although fish can be high in Omega-3, the beneficial oils are destroyed when it is cooked at high temperatures. It is therefore best to eat raw fish for optimal Omega-3 uptake. In addition, fish also comes with a host of potential toxins and heavy metals that are not good to take in on a regular basis. So, you might want to keep these things in mind when using it a main source of essential 3 fat, like DHA. The general recommendation for a healthy person consuming a more balanced ratio of Omega-6 to Omega-3 is 2g of ALA a day. 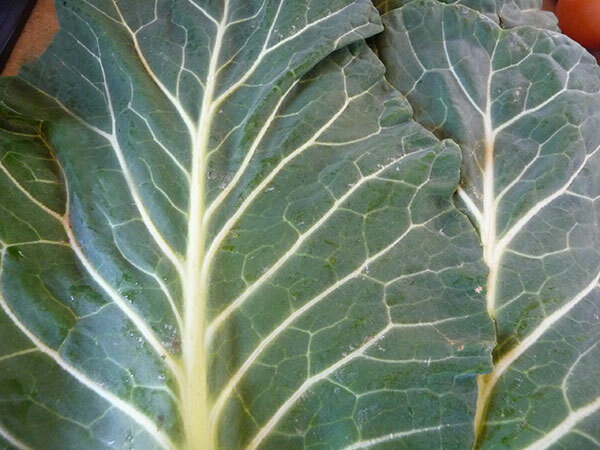 Our top recommended source of ALA is, without a doubt, dark green leafy vegetables. A health promoting diet should include large amounts of them everyday. You can achieve this by consuming more salads, green juices or green smoothies. Most people on a high raw diet generally eat more greens, enjoying them in salads and as wraps for other foods. ALA is in green leafy vegetables because it helps the plant convert sunlight into carbohydrates, proteins and fats. Typically, 2 heads of lettuce or 125 calories of leafy greens is about 1 gram of ALA, which is often a lot to eat for the average person. 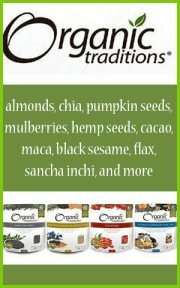 That's why we suggest making green juices and smoothies w/ chia and hemp as it is more convenient for a busy lifestyle. 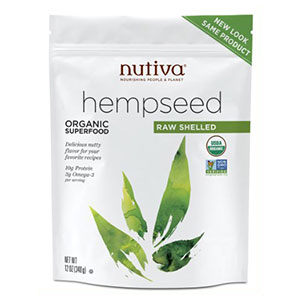 One heaping tablespoon of flaxseeds or chia seeds is roughly 2 grams of ALA.
You can also lightly steam leafy greens and there is still a good amount of Omega-3. 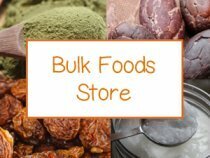 Some green powder supplements, like moringa, and micro-algaes such as chlorella, spirulina, marine phytoplankton and blue-green algae are also good to include because they are extremely concentrated, offering more Omega-3 nutrition per quantity you ingest. 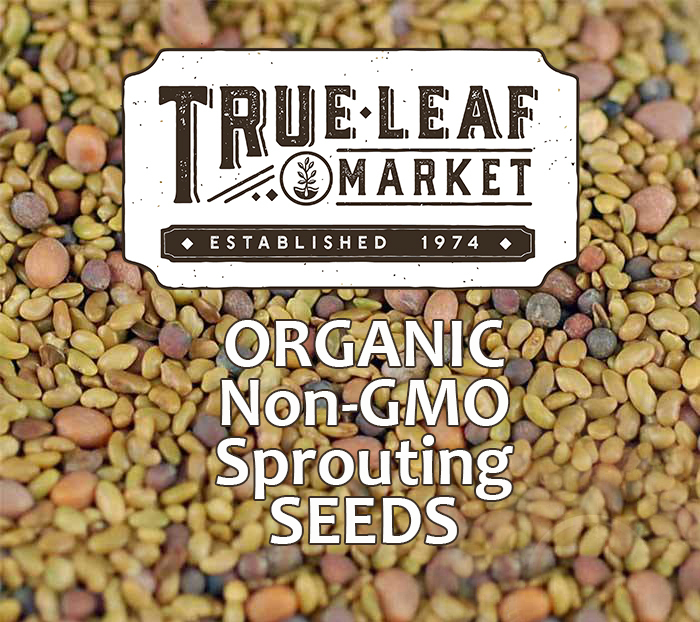 The Omega-3 seeds and oils go rancid more easily than Omega-6's because of their molecular structure and therefore have less of a shelf life. In fact they should actually not be kept on the shelf, but in a cool dark place to maintain nutritional integrity. What is DHA and EPA? 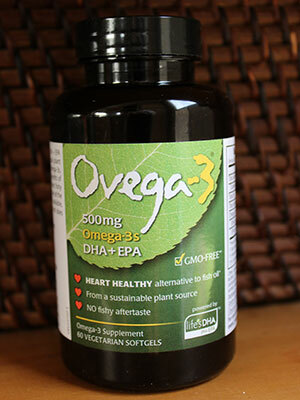 EPA and DHA are both Omega fatty acids derived from ALA or Omega-3. They are both found in cold water algae, which is where the fish get their EPA and DHA. EPA stands for Eicosapentaenoic acid and is a 20 carbon chain with 5 double bonds and is a very important nutrient for controlling and reducing inflammation in the body. EPA is an important precursor to eicosanoids, molecules that regulate the inflammatory response. Generally, EPA can more effectively be converted from ALA-rich foods than DHA. DHA is Docosahexaenoic acid is a 22 carbon chain with 6 double bonds and plays a vital role in the functioning of the human brain, eyes, heart, reproductive glands, nervous system and hormone receptors. It is a very important nutrient for pregnant mothers because it is essential to the growth of the fetus and its brain development. Our brains are mostly composed of fat and 97% of the fatty acid components that make up our brain are DHA. DHA feeds our brain serious nutrients needed for proper neurological functioning and needs to be replenished on a regular basis through dietary sources. Cognitive illnesses such as Alzheimers, depression and PTS disorder have been associated with low levels of DHA in the brain tissue. Does ALA Convert to DHA in the Body? It is often suggested, and in some cases "scientifically proven", that we can only get DHA from cold water fish or their extracted oils. 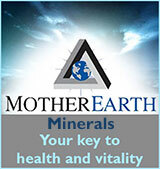 However, there are many people in the holistic medical community largely debating this often stated theory. Many believe this varies from person to person and is chiefly dependent on what kind of foods individuals consume overall. There are some health authorities who say that we can indeed convert DHA out of plant based ALA-rich foods and oils, but ONLY when the diet offers a balanced ratio of Omega-6 to Omega-3, in at least a 4:1 ratio. This is, of course, largely debated by the scientific community who only test DHA levels of those eating a predominantly Omega-6-rich diet and cannot convert ALA to DHA. When linoleic acid (Omega-6) gets converted to DGLA and then to AA (Arachidonic acid) it promotes inflammation in the body. When too much Omega-6 food, concentrated in AA, is consumed over a long period of time it can create chronic inflammation in the joints and various systems resulting in a number of health conditions and related diseases. This can be nutritionally corrected by eating and/or supplementing the diet with an adequate amount of EPA and DHA food or oil sources. Again, EPA and DHA are natural anti-inflammatory fatty acids that counteract AA fats. Today, Omega-3 is an essential nutrient most often lacking in 90-95% of the population, so if you experience chronic inflammation you might want to consider adding more of this essential omega fatty acid to your current diet regime. The Omega-3 fats, and their derived oils, are imperative for the health of the entire cardiovascular system and are particularly good for lowering blood pressure, normalizing cholesterol levels and maintaining artery health. They are well known and researched for their effects at reducing the risk of cardiovascular disease and related ailments largely impart due to their ability to eliminate or reduce inflammation. 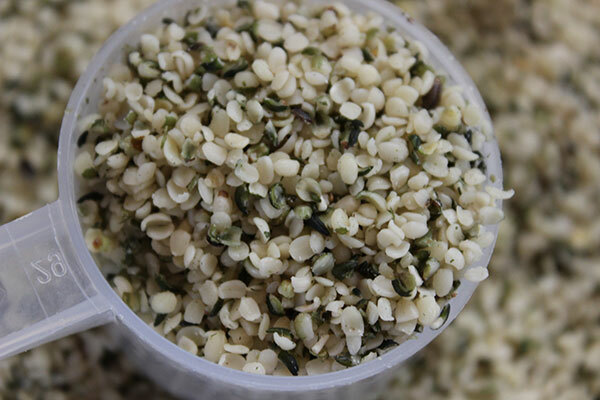 The proper balance of essential fatty acids helps prevent addiction to unhealthy foods. They also ease the intensity of symptoms during the transition from processed foods to healthier food choices. 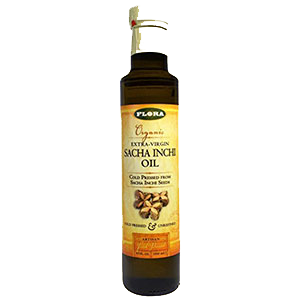 Omega fatty acids satisfy cravings, provide a feeling of fullness and fulfill important nutritional requirements. EFAs also elevate mood and lift depression which is a common reason why some people overeat. They enhance feelings of joy and increase energy levels, so we feel like being active and motivated in our lives. Another function of EFAs or Omegas is the production of prostaglandins, hormone-like molecules which regulate bodily functions, such as heart rate, blood pressure, blood clotting, muscular contractions, fertility and conception. 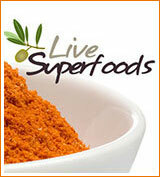 They play a role in immune function by regulating inflammation and encouraging the body to fight infection. 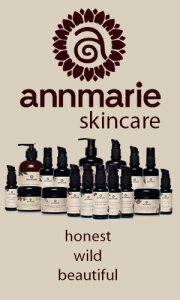 These fatty acids also form a barrier in our skin that protects against moisture loss and dehydration, providing smooth, supple youthful skin. Purslane is a wild edible green that contains more Omega-3 than any other plant known. Depending on the foods you consume, additional supplementation may be required for you to achieve optimal omega fatty acid balance. 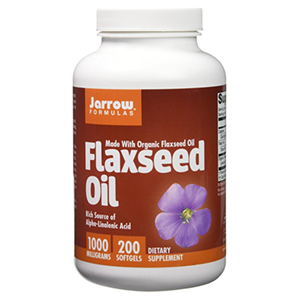 There are several fish, krill and algae based oils to choose from that we would recommend. 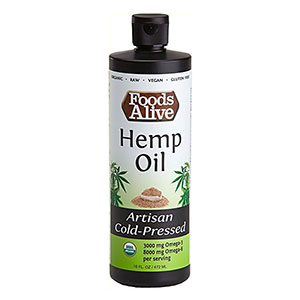 Algae oils are a better alternative for those following a vegan diet and they also have potentially less heavy metals and other toxins that are common in fish and krill living in aquatic ocean environments. 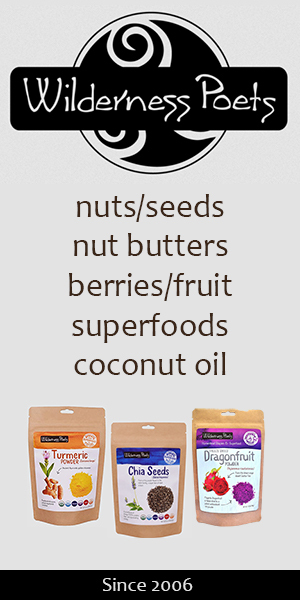 Our two favorite Omega-3 oils are: Ovega-3 oil and O-mega-Zen 3 oil. 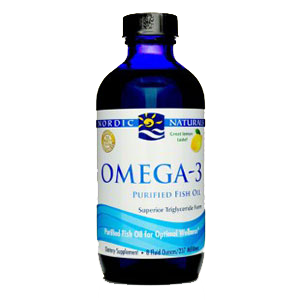 Ovega-3 oil is one of our personal favorite omega oil supplements. It is a vegetarian and vegan form of DHA & EPA, obtained from an uncontaminated natural algae source instead of fish. 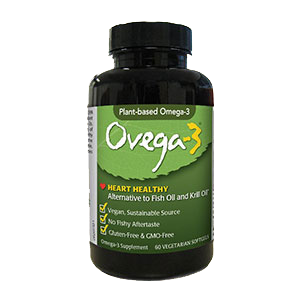 With 500 mg of total Omega-3s, Ovega-3 provides the same nutritional benefits of traditional fish oil supplements. Most people think that fish are the original source of DHA and EPA, but it's really the algae they eat that naturally contains these important Omega-3s. Ovega-3 has gone directly to the source and bypassed the fish. Not only that, this omega oil is free of PCBs and mercury because it is sourced from plants that are grown outside of ocean waters. 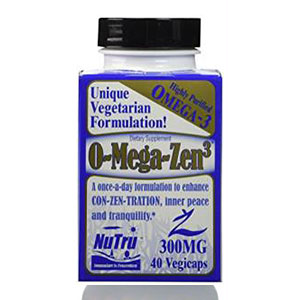 Omega-Zen 3 is an seaweed based oil and also great for strict vegans. It contains both EPA and DHA. It comes in soft gel caps and is our second favorite next to Ovega-3. Krill oil is made out of small shrimp-like creatures that are the primary food of whales, other marine mammals and fish. The oil they produce is a step up on the food chain from algae oil and a step down from fish who eat them. Krill oil is a fairly new product from Antarctica, originally developed by Dr. Mercola. It is extracted from concentrated krill populations living in pristine, cold ocean waters. 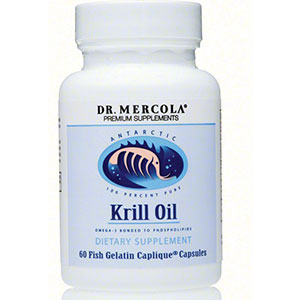 We feel Dr. Mercola's Krill Oil is a higher quality product over other brands. 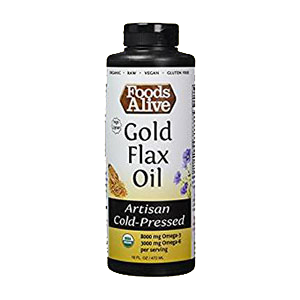 Nordic Naturals is a purified fish oil and is the next brand we would recommend because it is tested for environmental toxins including heavy metals, dioxins and PCBs.